Ever had a taste of Oyako-don, Hayashi rice, Ochazuke or Tsukemen? 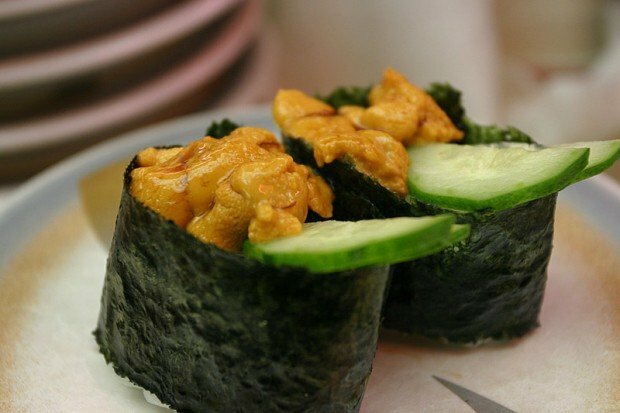 Trust me, these underrated Japanese foods are to die for. Speak of Japanese cuisine and mouth-watering images of ramen, sushi, tempura, takoyaki, tonkatsu and perhaps Japanese curry and wagyu beef are instantly conjured in your mind. But if these are the only things you have on your “Foods to Eat in Japan” checklist, boy, you sure are missing out! Certainly, these are extremely delightful Japanese foods that have been popularised abroad, but don’t be fooled, for what constitutes as Japanese cuisine is so much more diverse than is usually represented. 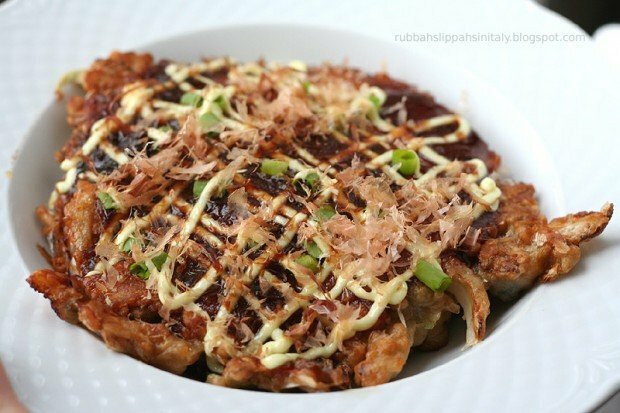 This compilation of 12 underrated foods is nowhere close to being a comprehensive list of what other delicious Japanese fares you should try apart from the usual ramen and sushi (because there are innumerable, and my experience is limited), but it will hopefully nudge you a step closer to a more complete gastronomical experience in Japan. 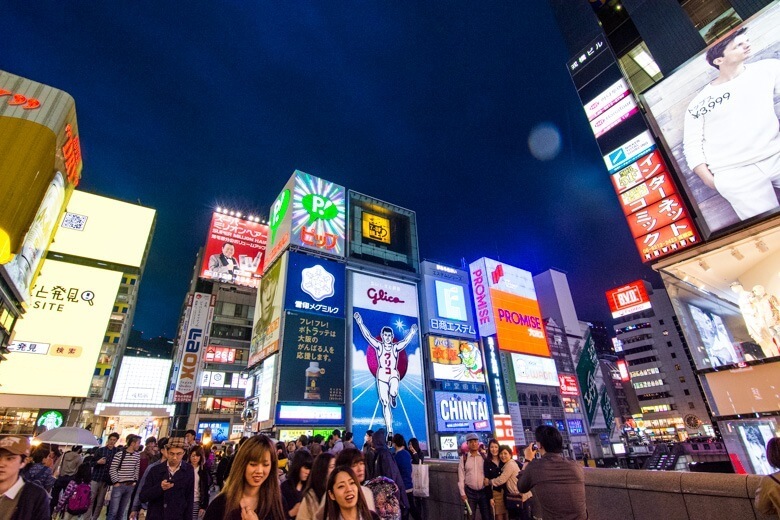 Think you know local Japanese food? It’s time to think again. 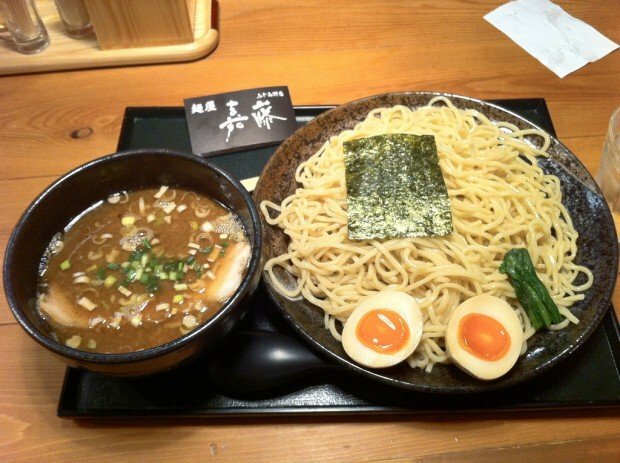 Unlike the typical ramen we know, tsukemen is a kind of “deconstructed” ramen. The chewy wheat noodles of tsukemen are separated from the hot, thick broth that is usually pork or fish-based. The tip is to dip just a few strands of noodles in the broth right before you eat them. That way, the dense broth that coats your noodles will guarantee rich, full flavours that will flood your senses like magic (I mean it). Triple hoorays if your tsukemen comes also with pork slices, bamboo shoots, hard-boiled eggs and dried seaweed sheets! Personally, abura soba is the most under-appreciated Japanese noodle dish ever. 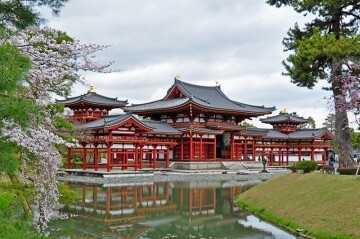 Even in Japan, its name is relatively unknown outside of the few hotspots in central Tokyo. Literally “oil noodle”, this dry version of ramen is a simple dish that is sometimes likened by Singaporeans to their very own bak chor mee. This soupless dish is usually served in three different types of oil bases: soy sauce, salt and chilli. 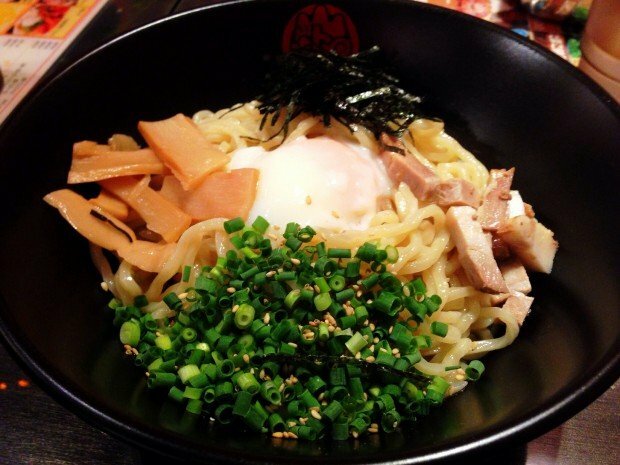 You can find abura soba in the vicinities of Takadanobaba and Waseda (in Shinjuku ward). 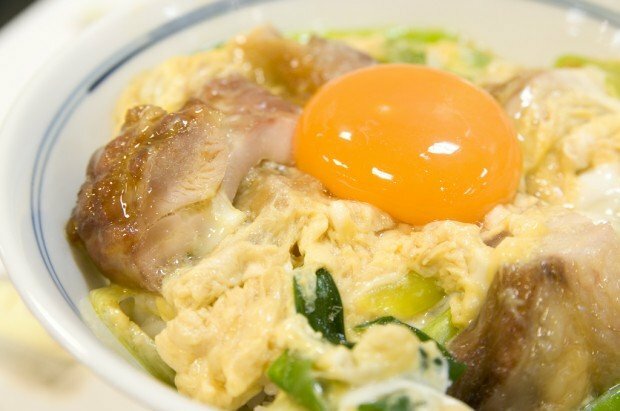 Ignoring the rather sadistic etymology of its name (literally, “parent-child rice bowl”), oyako-don is the perfect concoction of two of everyone’s favourite things: chicken (the parent) and egg (that’s it – the child). Sliced onions are sometimes added into the bed of runny scrambled eggs to make a more fragrant lunch pick-me-up. Oyako-don tastes especially heavenly with shichimi tougarashi (Japanese chilli pepper made out of seven different spices). It’s a mystery why oyako-don is hardly popularised abroad. 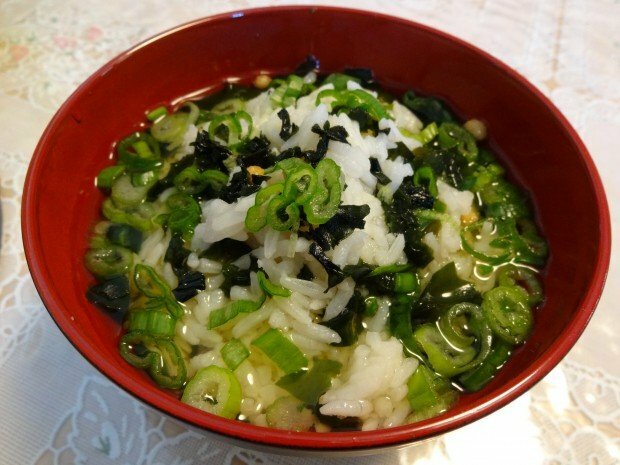 Ochazuke may look plain but its flavours are not to be underestimated. The essence of this dish lies in the hot green tea that is to be poured over steamed rice. To enhance the savoury taste of this dish, umeboshi and other tsukemono (pickled vegetables) are also presented as sides. Top the soupy bowl of rice with some furikake for a light but tastier Japanese meal. I tried, but perfect fluffy omelettes cannot be put down into words simply. So here’s a video of the best omurice in Japan to compensate. Okonomiyaki is Japan’s take on savoury pancake. The batter is basically made out of flour, water, eggs and shredded cabbage, but extra ingredients such as meat (usually slices of pork belly), seafood (like octopus and shrimp), mentaiko (which is marinated fish roe), mochi and/or cheese are also included for a more satisfying eat. The Hiroshima version even has a layer of yakisoba noodles for an extra carb-load of delectable goodness. The ending touches of okonomiyaki black sauce and mayonnaise with seaweed and bonito flakes make the teppan fare even more irresistible! 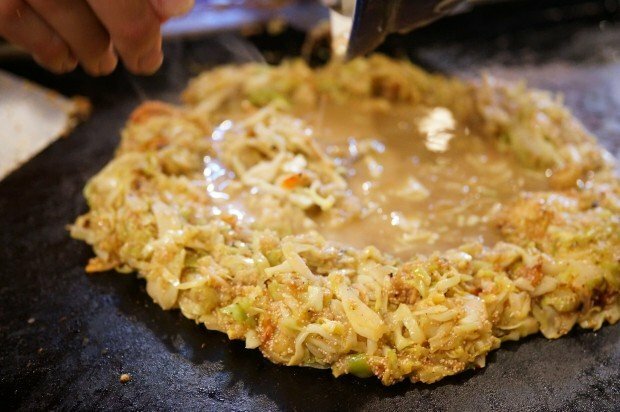 Monjayaki shares common ingredients with okonomiyaki, but its ingredient ratio and cooking method is different, resulting in a runny consistency. Instead of distributing the food into separate bowls for consumption, the point of monjayaki is to share and eat it directly from the teppan (hotplate) that is in front of you with a mini spatula. Surely, eating is a social affair! Its appearance may put you off, but don’t judge this underrated dish by its looks before you try it. You may fall for it, hard. 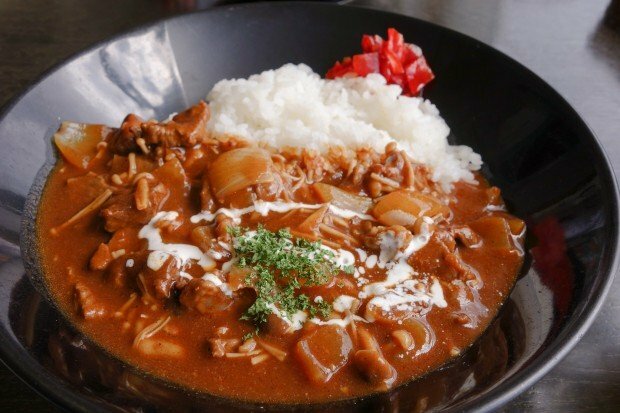 Hayashi rice resembles the usual Japanese curry rice we know, except that instead of with curry, steamed rice is eaten with demi-glace stew that is prepared with red wine and tomato sauce. Beef slices, onions and mushrooms are common ingredients of the stew. While largely new to most of us, its popularity in Japan is not inferior to the well-known Japanese curry! 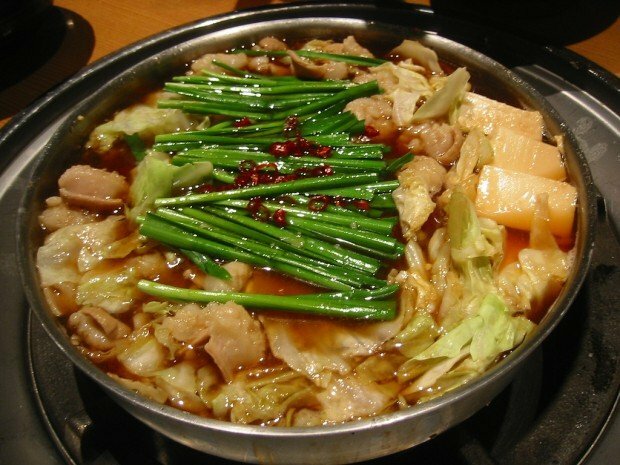 Nabe in general, is surprisingly one of the most underrated Japanese dishes ever. You may argue that this Hokkien swear word-soundalike is too similar to our local version of steamboat (fair enough), but try motsunabe. A stew that is made with beef or pork offal (mainly guts and intestines), motsunabe promises to be rich in protein and collagen! 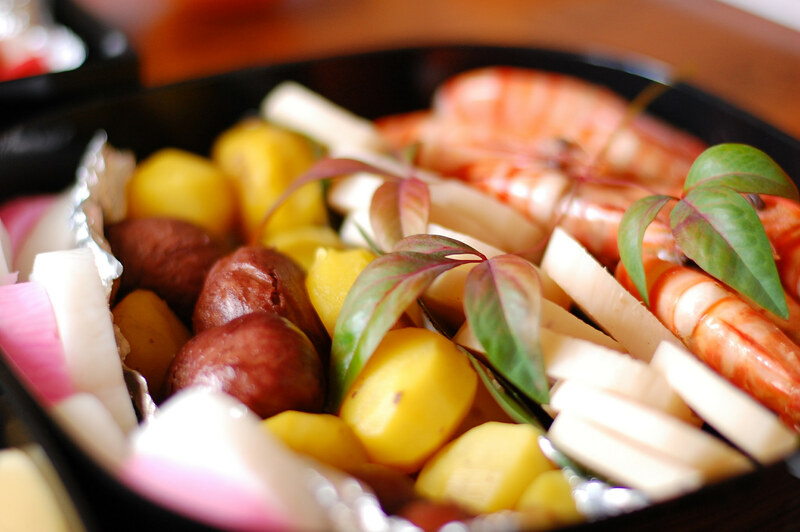 Nikujaga is a homely dish that can also be found in izakaya (Japanese-style pubs). While it is typically eaten as a dish with rice and miso soup at home, in izakaya nikujaga is more like a light side dish to go with alcohol. 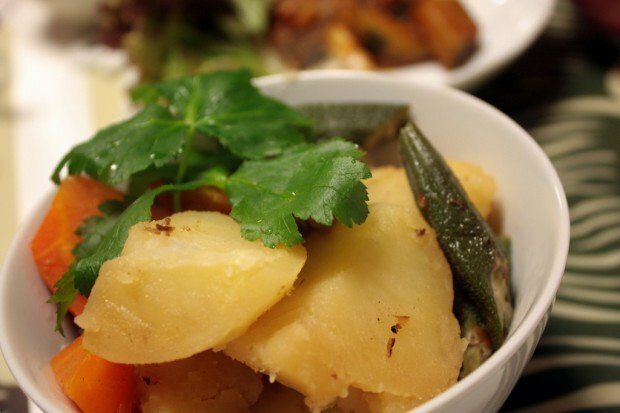 Potatoes and either sliced or minced meat are stewed in Japanese sweet soy sauce. Occasionally, carrots and onions are also boiled together to make it more flavourful. Perhaps you know about taiyaki thanks to its regular appearances on mangas and animes. 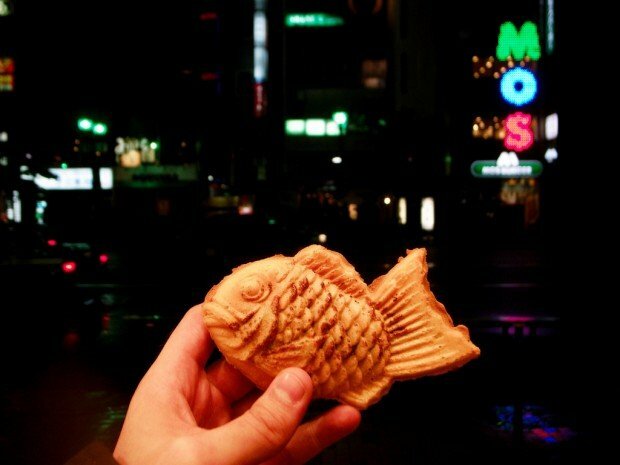 However, it is surprising how many travellers visiting Japan miss out on this fish-shaped pastry when they are actually there! Traditionally filled with red bean paste, taiyaki is now also available in custard, chocolate, black sesame paste and cheese fillings. Don’t forget to eat it while it’s hot and fresh! Next time you’re having sushi in Japan, don’t just order salmon and tuna sushi like every other tourist. Some sushi establishments provide English menus so asking for one to look up on what else they offer won’t hurt. If there is one underrated sushi that I have to recommend, it will unquestionably be uni sushi. The orange-coloured, raw sea urchin melts in one’s mouth into this creamy, custardy texture with a sweet, sweet tang that reminds one of the oceans. It’s puzzling that many tourists are unaware of this fine local delicacy comparable to the French foie gras! Have I got your taste buds itching to sample some of these underrated Japanese delicacies? Well, it might not be long before you can actually fly to Japan to try some legit umami flavours… For FREE! All you have to do is like Tripzilla Magazine’s Facebook page and follow the instructions for their giveaway. Good luck! 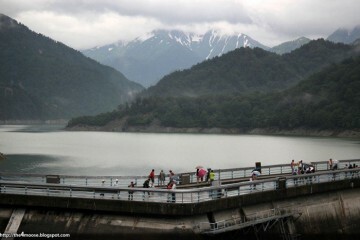 Shu Shien is a nature lover who would trek far and wide in search of the most breathtaking sunflower fields, river gorges, caves and beaches Mother Earth has to offer. With her trusty Minolta and preference for printout maps over Google Maps, she travels for chance encounters and to seek the Great Perhaps.